"Have you been to Sunda yet?" It's the question everyone's been asking for the past few weeks. And everyone was right. Most of us casually acknowledged this Punch Lane project was coming. 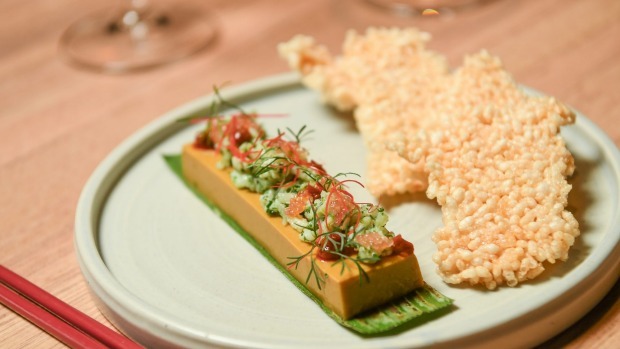 A recap if you didn't: Hotel Windsor owner Adipoetra Halim has imported Sydney chef Khanh Nguyen to make Malaysian, Indonesian and Vietnamese dishes do contemporary tricks. 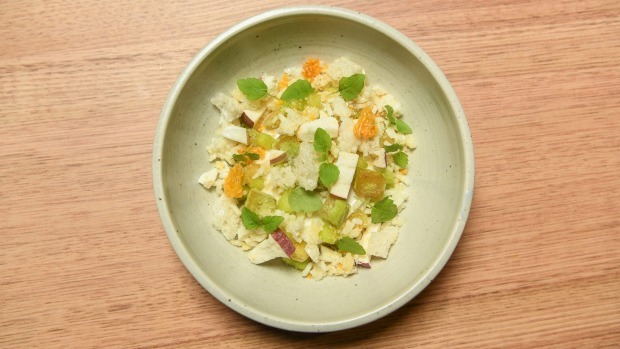 He's built Melbourne's most industrial dining room in which to do it. But cue pleasant surprise that without much hype or fanfare, it's become the hottest place to eat right now. Imagine if Tim Ho Wan's famous crackly pork buns were instead filled with a riff on beef rendang and came with bright and fiery hits from pickled radish and roasty fermented sambal? That's the delicious reality unfolding on Punch Lane. And those buns are probably only the fourth most Insta-rave-worthy thing on Sunda's agenda. This is Nguyen's moment and the 27-year-old has arrived armed and adventurous. He's packing Vietnamese heritage, training in agenda-bending kitchens like Mr Wong, Bentley and Cirrus, and has a thing for native Australian ingredients (courtesy of a Noma Sydney stint) that's bringing left-field fun to the eats. I wouldn't get your knickers in a twist about authenticity. The menu lists signatures you'll recognise (rendang, otak otak) but more to create a mood board than set you up to expect the real deal. These are all new plays. And they work. 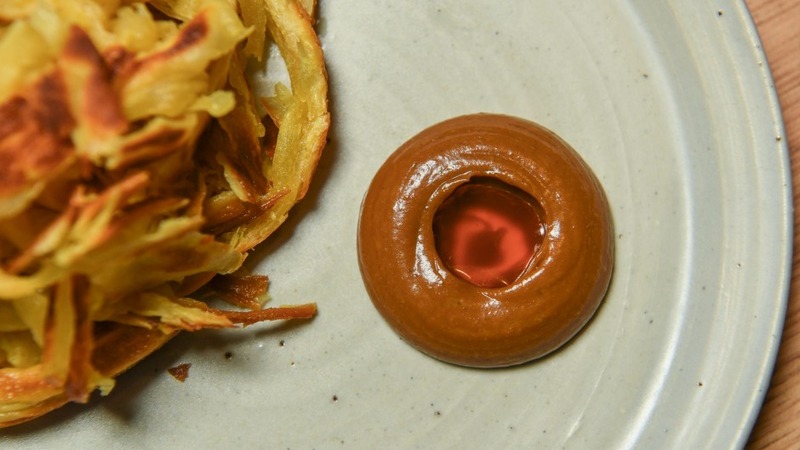 A tornado of ultra buttery roti comes with a dipping sauce uniting Vegemite and curry, and hardline nationalists from both regions should be proud. The top notes are all kaffir lime and curry oil, but then the national treasure comes through with the salty, umamiful bassline. It's the best breakfast spread snack since Anchovy's Vegemite tempura. The riff on Malaysia's otak otak is brilliant, too. Traditionally the dish involves fish and spices bashed to a paste and steamed in banana leaf. Here it's a chilled tranche of curried crab parfait, all silky, fragrant seafood richness, topped with a rubble of limey spanner crab to schmear on to bubbled rice crackers. Nguyen's menu is fun, and a far cry from the whitewashed pan-Asian that's dominated the last epoch. This isn't bao with sriracha mayo. It's raw scallops tingling with the andaliman pepper – citrusy sister of numbing sichuan – that you'll wrap in torched betel leaves with salted cucumbers. It's pie tee, delicate shatterable canele-shaped pastries filled with a smoked soy custard, sauced up tofu, carrot and onion, and then the kangaroo tartare neutered of its gaminess by a quick roll in a nam jim-like dressing and finished with dabs of cured egg yolk. The package overall is impressive. The light is diffuse. 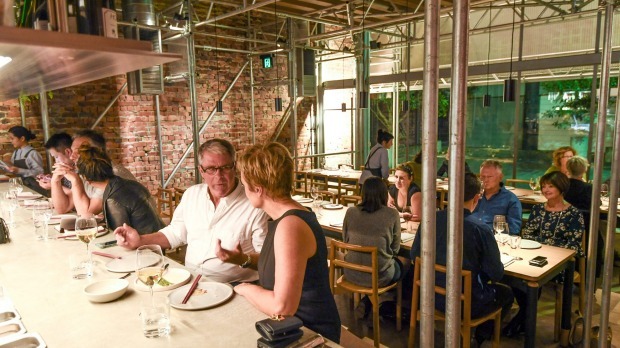 The next-level industrial fitout that consists of actual scaffolding overhanging a broad, sturdy concrete bar is beautiful in a brutalist kind of way. Sharing that bar, the kitchen works with incredible calm. So does the floor, thanks to managers Brad Hammond (Hotel Windsor) and Kosta Kalogiannis who's skipped next door from Longrain and previously trod the boards at MoVida. Aside from heavy bar stools being so close-set that you're trapped once in, it's hard to find boxes that aren't being ticked. You can drink progressively, too. Boatrocker sours meet Brittany ciders with barnyard funk and cocktails that are craft-spirited and fruit-forward but tamed by tartness. No surprise, then, that sauvignon blancs here (Philip Lobley's 2015 number is a keeper) are the new-wave breed that drink more like chardonnay than passionfruity party starters. A quick word from the department of feed me menus. Sometimes it's a great snapshot in manageable quantities for parties of two. Other times it's the safest (boring) bets that work out costing more than ordering straight. Here it's the right move. Vitally because it includes the funky XO egg noodles crunched up with lewd amounts of chicken crackling. And lamb rump, non-negotiable, fanned out pink and plush on cashew cream with a "native curry sauce" whose infusion with numerous myrtles, bush tomato and fennel pollen gives it a mentholly lift that makes the whole dish like a crazy combination of curry and a Saturday night roast. Are you unsure whether to close with the bika ambon (a caramelly, jellyish cake with a honeycomb structure caused by rising bubbles of yeast) and banana custard, or the creamy, light jasmine rice cream showered in textures of apple? It doesn't matter. There will be a next time. 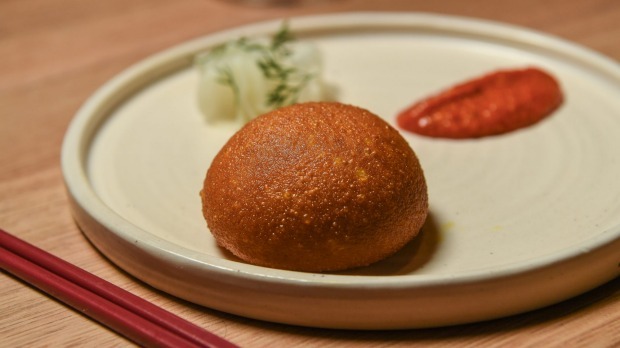 Melbourne's been needing a shake-up for ages and we've landed two guns in Restaurant Shik and Sunda in the space of a month. Pray to the dining gods the purple patch rolls on. Pro Tip: The roti is off menu and they only have about 25 serves a day. Bag it. Go-to Dish: Beef rendang bun ($9), roti with Vegemite curry ($10), XO noodles ($17).